Bottle Carrier made of anodised and reinforced aluminium, very hard, resistant and light, which makes it perfect for the most perfectionist water distributors day after day. HODS Quality Assurance has made a great effort to make this bottle carrier meet all our quality standards, so our technicians have improved the model by including high-quality German FAG rolling bearings. Aluminium anodizing is an electro-chemical process that forms a protective aluminium oxide layer on the surface of the base aluminium, and it has the following properties and advantages: it does not need any maintenance; it gives more protection against rain, sun and humidity; it increases surface hardness; it gives a decorative finish; it is abrasion, wear and corrosion resistant. 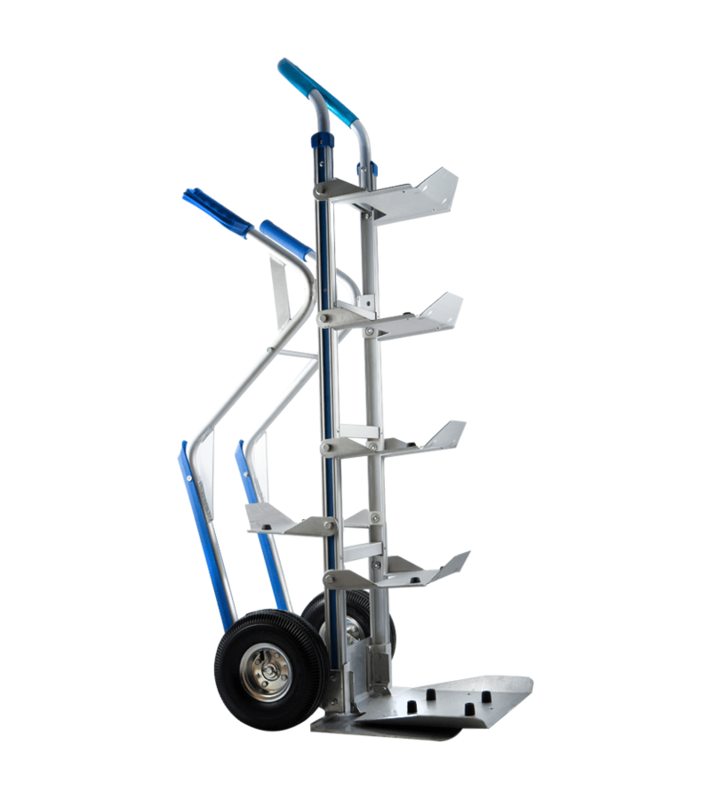 It also includes pneumatic wheels with reinforced bearings that allow both a better sliding and an easier mobility when the carrier is loaded and a higher resistance to a greater load, as well as a silicon coating on the carrier handle for a better grip that avoids eventual accidental slips. 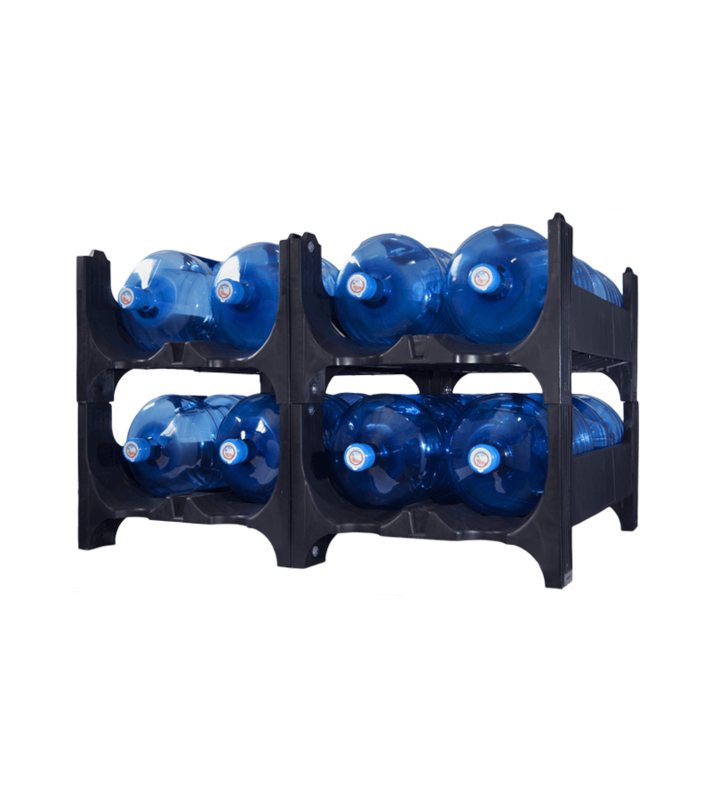 It has a load capacity of 5 5-gallon bottles, with silentblocks in each tray to reduce vibrations of the PET bottle, avoiding its oscillations and damages during transport. Moreover, these trays can be folded so as to make a carrier load different kinds of packages, such as boxes. This carrier can go with an accessory of the same material than the rest of the structure that works as a support to overcome stairs, reducing the impact on the loaded carrier when going upstairs or downstairs.